The subject of PARCC testing has been in the news lately and we thought it might be helpful to concisely state our district’s position on the subject. 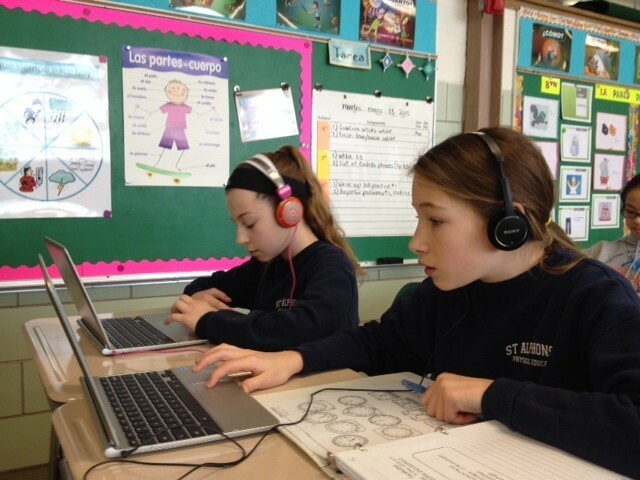 As we write this, it is February 24, 2015 and we are entering the first full week of PARCC testing. This means we are early in the process and as we learn more, these positions are likely to reflect the data that comes to us from actual experience. First, it needs to be restated that Worthington strongly supports the state’s new academic standards for Math, English Language Arts, Science and Social Studies. The repeal of Ohio’s New Learning Standards would be devastating to our district. In Worthington we have spent the past several years working together with our teachers to learn the new standards, purchase materials to best teach the new standards, and create locally developed curriculum based upon the new standards. The topic of how to best assess our progress on those standards is a different subject than the standards themselves. We believe that the PARCC assessments must change if they are to remain viable. While we acknowledge a common concern with the OAA methodology was that kids were tested on a single day, PARCC has swung the pendulum too far in the other direction. There are far too many testing events. We will suggest to the Ohio legislature that they conduct a review of the assessments to determine specifically whether the total time on task is necessary to accurately assess whether learning has occurred and whether the testing events can be consolidated to minimize disruption to the educational program. We believe that if this assessment system is to remain in place PARCC must return results in a timely fashion. It is unacceptable to not receive the results of the assessment until well into the next school year – far too late to adjust curriculum, building level plans, or to appropriately differentiate instruction for individual students. While assessments have as a partial goal determining the efficacy of our program in different buildings and for our faculty, their main function must be to provide information about how to maximize learning for every student, and an 8 month delay in receiving the results doesn’t do that. For our district to administer the assessments and limit the disruption to the instructional day PARCC assessments must have a consistent testing length. PARCC has variable length tests which are creating scheduling and logistical nightmares. In Worthington we strongly oppose the legislation that attempts to limit testing to a percentage of the school year. The assessments need to be the minimum amount of time required to assess achievement on the standards. Artificially limiting the time does not serve this purpose. Worthington strongly opposes legislation that in any way attempts to limit local diagnostic tests. These are invaluable to the educational program in our district. 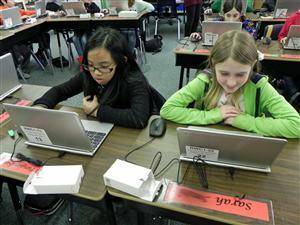 Worthington supports local control with state oversight in the area of testing. In our preferred legislative solution, the Ohio Department of Education should have a series of Common Core aligned assessments that are pre-approved. Local districts can then select whichever assessment(s) are right for that district. The results can then be normed statewide. Finally, while we work with our legislators to create a better assessment system for the near future, our teachers, administrators, and support staff, will do everything possible to administer PARCC tests this year in a manner that supports our students and limits test based anxiety and the disruption of instructional time as much as is possible. Over the past four months I have had the opportunity to speak with hundreds and hundreds of people about Worthington Schools. It is a pure joy to discuss a school district that I, and so many others, care deeply about. 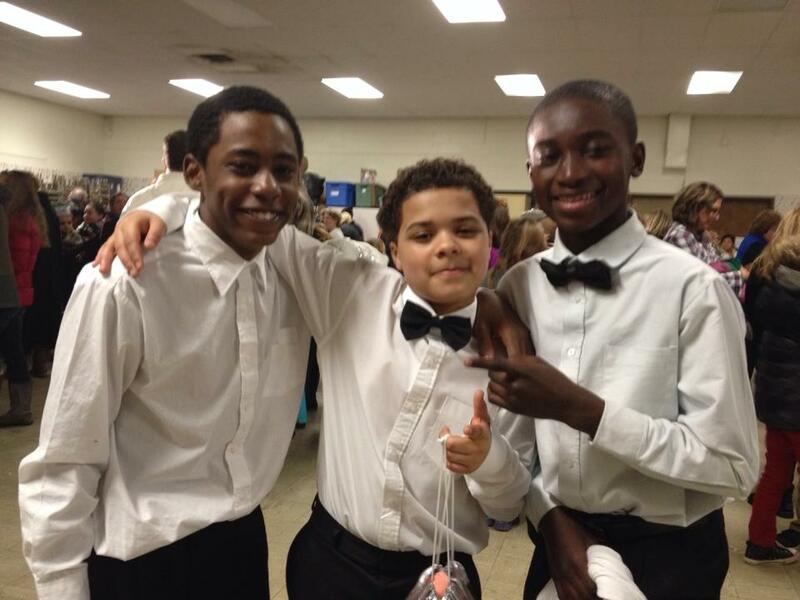 Our families value the unique Worthington experiences that their students are able to participate in and enjoy. There are too many of these to name as each of our schools operates with a level of autonomy, but over the last few weeks I’ve had the opportunity to witness two of these uniquely Worthington experiences that are so rich and meaningful at just one of our eleven elementary schools. Two weeks ago Colonial Hills held their annual Pastapalooza. This event is essentially a large spaghetti dinner, except for two important elements: 1. The entire Colonial Hills community comes to this shared dinner and many Colonial Hills alumni choose to come back to the event creating an incredible atmosphere and 2. The Colonial Hills sixth grade students dress up and serve the families there for the dinner. Generations of Colonial Hills students have learned to serve in this capacity. Thursday night those same 6th grade students participated in the Colonial Hills lip-sync. This is not just any lip-sync. It makes Jimmy Fallon and Will Ferrell look like amateurs. The students are in costume, there is excellent production, and the packed crowd often sings along. The night was full of unique and super cool songs. My personal favorites include a rendition of The Beatles Sergeant Pepper’s Lonely Hearts Club and The Toast Song. While much of the current education dialogue may focus on standardized testing, in Worthington we’ll continue to focus on the whole child and our staff will continue to work hard to provide our students with experiences that are unique to the Worthington Schools experience. Over the last few weeks I was able to witness Colonial Hills doing exactly that! This spring the Board of Education and our administrative team will spend a significant amount of time setting goals for the 2015-2016 school year. 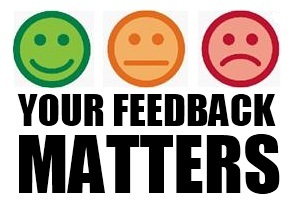 As I begin my time as Superintendent of Worthington Schools I believe it is very important that our customers (students, parents, staff members and community members) provide us feedback on their perception of the strengths, weaknesses and opportunities that they see for Worthington Schools. Ultimately we hope that the data provided from our open community meetings, combined with data provided by a community survey that we plan to run concurrently with the community meetings, will help us better understand the priorities of our customers and this data will guide our goal-setting process. As school district leaders, we are keenly aware that we work for the public and in Worthington we value significant public input into our decision making process. These community meetings are designed to provide that face-to-face community input and we are very hopeful that our residents will engage with us in this process. Our goal for these meetings is to allow everyone who attends to provide feedback in writing. We will be utilizing a facilitator to design a collaborative process and to catalog the information that is provided. I will be present and will likely begin each meeting with some words about the process and our hopes for the evening. Then those who attend will rotate through various stations and questions. They’ll be able to talk and discuss in small groups and will provide their feedback in writing so that everyone is heard and so that everyone’s feedback has equal weight. Because we know that a community meeting will not work for everyone we will also be opening a community survey so that those who are unable to attend or who would like to provide their feedback in a different way have an equal opportunity to do so. We will summarize the information from the community meetings and from the survey’s and I will present the findings to the Board of Education at our April 27th Board of Education Meeting. The ultimate purpose of these meetings is for our community to provide feedback and data that will help set our district priorities in the coming year. p.s. Our last of six morning coffees is scheduled for tomorrow morning 2/27. We’ll be at Panera 1391 Polaris Pkwy, Columbus, OH 43240 beginning at 8:00 A.M. We’d love to sit down and discuss Worthington Schools over a cup of hot coffee. And so it begins…tomorrow across Ohio the PARCC performance based assessment window opens. Four of our schools will begin testing tomorrow and by next Monday all Worthington Schools will be actively engaged in PARCC assessment. We’d like to begin by saying a sincere THANK YOU to our teachers, administrators, support staff and parents. Just getting to today with technology, calendars, schedule changes, IEP modifications, etc…has been a monumental accomplishment. We appreciate the significant efforts demonstrated. Over the past three years the teachers, administrators and support staff of Worthington Schools have worked relentlessly to comply with the moving target of Ohio’s education policy. I cannot adequately express how proud we are of the hard work of the educators in this district. I am amazed each day by our teachers, administrators and support staff because I know that they strive to inspire, to care for, and to ensure that each of our students grows. Unfortunately, I fear that the continual flux of education policy, accountability, and high stakes testing has created an environment where our best and brightest educators are forced to operate in a high-stress environment. I am a firm believer in accountability and learning standards. I believe in and support Ohio’s New Learning Standards, which in my opinion, provide a framework for education that is reasonable, flexible, attainable and one that allows the needed local control to provide an excellent education. In Worthington we have embraced these new standards and are implementing them in classrooms across the district with great fidelity. However, in the seemingly never-ending quest for “accountability” and “education reform,” it is my opinion that the policy makers have over emphasized the use of high-stakes assessments. As professional educators we strive to create systems of assessment that are formative in nature and embedded within teacher instruction. We seek to ensure that our system of assessments provides valuable insights and data that can be used in a timely manner to progress-monitor and to drive instruction. Ultimately our assessments should provide teachers with the timely data necessary to ensure positive student growth. As we embark on PARCC assessments the jury is still out on whether these assessments will ultimately fit in the assessment system we endeavor to create. This week as we begin to administer these assessments I am sure of this: Worthington students will be very well prepared. Our teachers have done a great job this year! 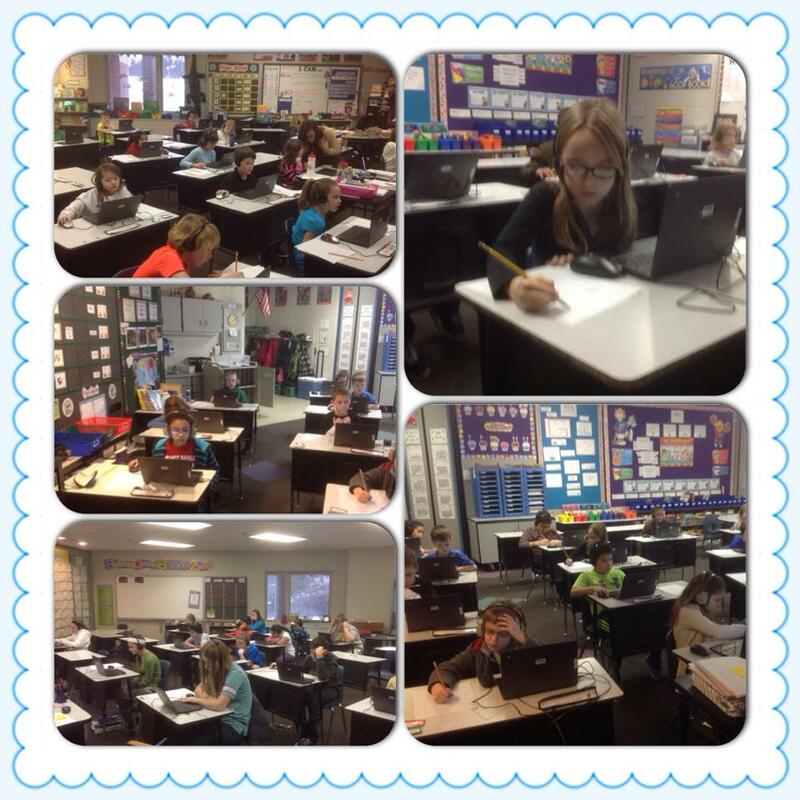 Worthington students will be able to take the assessments on technology that (should) work and our Worthington Schools staff will do everything possible to make this a positive and safe experience for our students – of that I have no doubt! Please be patient over the next few weeks. With anything new and on such a large scale we are sure to have some challenges. We appreciate the extensive hard work of our students, parents, teachers, administrators and our support staff preparing to implement this new assessment system! This month students across Ohio will begin taking new state assessments. Throughout this school year we have been preparing for these assessments and have been working to communicate these assessments to families. There are many resources regarding these assessments that you may access. Please see them here, here, here and here. As our assessment date grows near there is a growing question from parents in Worthington on whether they should “opt-out” their child from state testing. There are several websites which advocate for families to “opt-out.” Lately we have been getting questions from families about our stance on the “opt-out” from state tests. Ohio does not have an official “opt-out” form for parents to fill out when removing children from tests, but parents do have that right, simply by informing the district. There are ramifications of not taking tests, and districts are required to give you a letter informing you of those ramifications. There are consequences for the child and the school. For students, most of the state tests have “no teeth” beyond showing progress and sharing the school’s results with parents. But Ohio’s Third Grade Reading Guarantee requires third graders to earn a minimum score on reading tests before advancing to fourth grade. Not taking the reading tests may mean your child cannot be promoted out of third grade. And Ohio’s new high school graduation requirements call for students to take several end-of-course exams to receive a diploma. If a student does not pass enough of those tests they cannot graduate. Understanding those ramifications is important. For the school, each student who does not test counts as a zero. It’s the least of our concerns, but students not testing does reflect poorly on the school district when state report cards are released in the fall. In Worthington, the question we ask is “why would you opt out?” While the state will be using this year’s data to determine passage levels, the school and district will use the results of the assessment to evaluate the implementation of our curriculum and look for strengths and places to improve. Parents will also receive (albeit a bit later than usual) much more detailed information about their children’s academic achievement and be able to better determine where they can be most helpful. As educators we all agree that ultimately we would like to reduce the number of state testing events we are required to give, but we also feel that these new assessments are better designed to assess what we are actually teaching and what we expect our kids to learn. Full participation in this first go around will allow us to have a much better picture of the new assessments and, thus, better able to make recommendations for change. In Worthington, we believe our teachers and students are better prepared than most – or any – district in Ohio. While we are all a bit anxious because this is new and different we are very confident that everyone is prepared and our schools will ensure that our students have a positive experience throughout the testing window. Choosing to “opt-out” of testing is a personal family decision. Make certain you have researched all sides of the issue before making the best decision for your child.